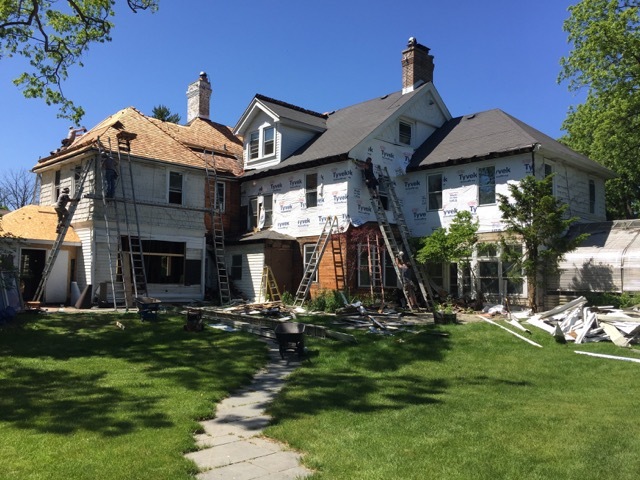 Historic residence and coach house built in the 1890s with Lord & Burnham Greenhouse on 2.5-acre property in Lake Forest, Illinois undergoing full renovation. What began as a renovation project has become a labor of love as the architectural details of this property are being restored to its original beauty. While the project unfolds, more history and treasures are being discovered as the team of old-world artisans and other trades work side-by-side to bring this home and its beautiful grounds back to grace.